What’s the best way to introduce your kids to the lives and ideas of those who’ve gone before? 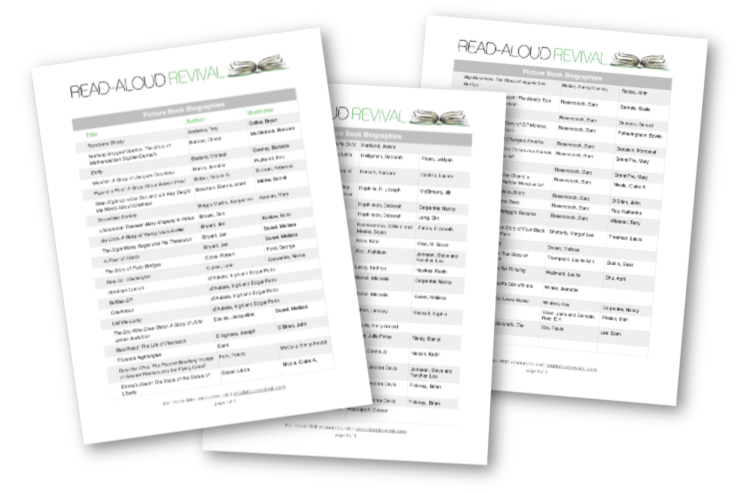 In this episode of the Read-Aloud Revival podcast, the RAR Team is talking about using picture book biographies with kids of all ages. And of course, we don’t just give you the why… we also share dozens and dozens of excellent picture book biographies in this new booklist! Scroll down to see our brand new booklist of favorite picture book biographies. You can also grab a FREE printable version to bring with you to the library. 5:17 The team is here!